The initiative for medical tourism is a collective effort of a few hospitals in the island, and in 2010, the hospitals involved had collectively officiated the founding of the Penang Health Association to encourage even more medical tourism activities. The hospitals are major hospitals in Penang: Gleneagles Medical Centre, Hospital Lam Wah Ee, Island Hospital, Loh Guan Lye Specialist Centre, Mount Miriam Cancer Hospital, Pantai Hospital Penang and Penang Adventist Hospital. These hospitals house the most qualified doctors who are specialists in various medical fields. The equipments are advanced technology medical equipments that are in par with international standards, you can find more about these technologies at Midas Letter Technology Stock. These seven medical facilities are the seven top hospitals in the island, and their collaboration brings them to roadshows in other countries to promote medical tourism. In fact, these hospitals have set up representative offices in other countries, such as Medan and Jakarta in Indonesia, to ease the administrative purposes. The representatives will have brochures and other information about the hospitals ready in hand, and will help to arrange the patients' admissions if the patient confirms readiness to be treated by the doctor. Doctors too, may attend these road shows sometimes, with the purpose of giving talks and seminars, and for potential patients to know the doctors more. Normally, the hospitals will send different doctors for each of the trips, so that the potential patients will be able to know the doctors and understand the procedure to know what to expect. 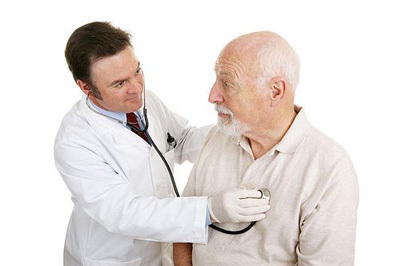 This short exchange between the patient and the doctor will help the patient to decide whether to pursue treatment under the care of this doctor. One of the reasons why Penang's medical tourism is well received is due to the affordability in the medical cost. Compared to many other countries, the medical cost in Penang is considered reasonable. Also, a patient usually does not come alone to seek medical treatment, but will have family members tagging alone. Penang is a place with low living cost, making things a lot more affordable for family members staying in the island throughout the treatment period. The family members of patients may also choose to rent an apartment or stay in hostels such as YMCA. It is not too difficult to seek for apartments to rent in Penang, in fact there are some people who had intentionally bought apartments just to rent out to patients family members for short period of time. Sometimes family members may already arrange for such accommodation through the hospital agents who handles the administration of the patient to the hospital. Otherwise, the hospital's public relations may be able to help. For those with international license, there are car rental companies that may offer good deals for short term use of cars. Taxis can also be available, and patients family members may engage in a taxi service, for a more convenient arrangement. Otherwise, family members may also live near bus stops and use public transportation which is also quite convenient. Of course, Penang also has an international airport which will allow incoming international flights from various supportive airlines, including budget airlines. Sometimes, one of the biggest concern is food. Penang is a state with diverse culture, and each ethnic group will have their own cuisine, whether it is a Halal food for Muslims or vegetarian food for Buddhists and Taoists. This diversity makes it easy for foreigners to find suitable foods during their stay. This is not something strange for those who know the population mix in Penang. Even among the Chinese ethnic groups, there can be a diversity of Hokkien, Teow Chew, Cantonese, Hainanese or any other dialect origins with different cuisine. Otherwise, there are also some local chefs learning western cuisine and offer some simple western dishes at a highly affordable price. While Penang is known for its beaches, the island had also progressed to have shopping malls, convenience shops and supermarkets where affordable groceries can be purchased. The shopping malls are easily reached by bus. These and other factors such as the stable tropical climate without extreme warm weather of summer or extreme cold of winter, makes it much easier for the patient to heal. Penang as a medical tourism destination invites visitors from neighbouring countries such as Indonesia and Thailand, and the popularity stretches as far as to the Middle East. This entry was posted in Medical Tourism and tagged George Town, Georgetown, Gleneagles Medical Centre, Hospital Lam Wah Ee, Island Hospital, Loh Guan Lye Specialist Centre, Mount Miriam Cancer Hospital, Pantai Hospital Penang, Penang, Penang Adventist Hospital by admin. Bookmark the permalink.